At Gothia Towers we have several popular restaurants. Remember to book a table in time if you want to have a treat in any of them. We love packages here at Gothia Towers – whether it’s putting them together or giving them away. 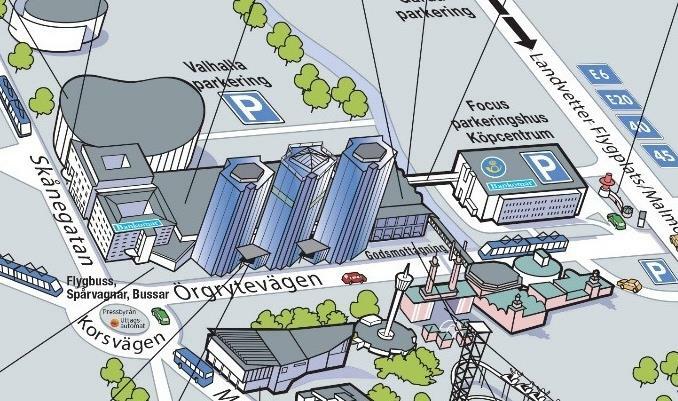 During your stay at Gothia Towers you can choose from a number of convenient parking options, such as parking in our own garage or in the nearby Focus car park. All options are extremely popular, so to guarantee a parking space for your car, it is advisable to pre-book. We occasionally open up our fair halls to offer parking at the fabulous price of SEK 275/night from 15.00 on your day of arrival until 13.00 on your day of departure. The easiest way to pre-book is when you reserve a room, or online via the link you receive in your welcome e-mail from us 7 days before your arrival. Alternatively contact the reservations department by phone or e-mail. Phone: +46 (0) 31-750 88 10. Swedish, Norwegian and Danish cars: If you have pre-booked and provided us with your car registration number and mobile phone number, you can drive directly to the Hallparkering before you check in. The car’s licence plate will be scanned and the barrier at the Focus bridge should open automatically The last six digits of your mobile number will be used as a code for the gate when you collect your car. Please note, if you have a personal license plate our system cannot read it. Cars from other countries or if you have purchased your own license plate: Our system cannot handle these licence plates . You will then not need to provide your registration number, please ring the bell at the barrier and our staff will let you in. If you have not pre-booked, contact Guest Service when you arrive and they will help you to book, subject to availability. Go to Focus Car Park (Fabriksgatan 45) and drive into the left lane of the car park. Follow the signs to Gothia Towers Hallparkering up to level 2. Cross the bridge to enter our Hallparkering.